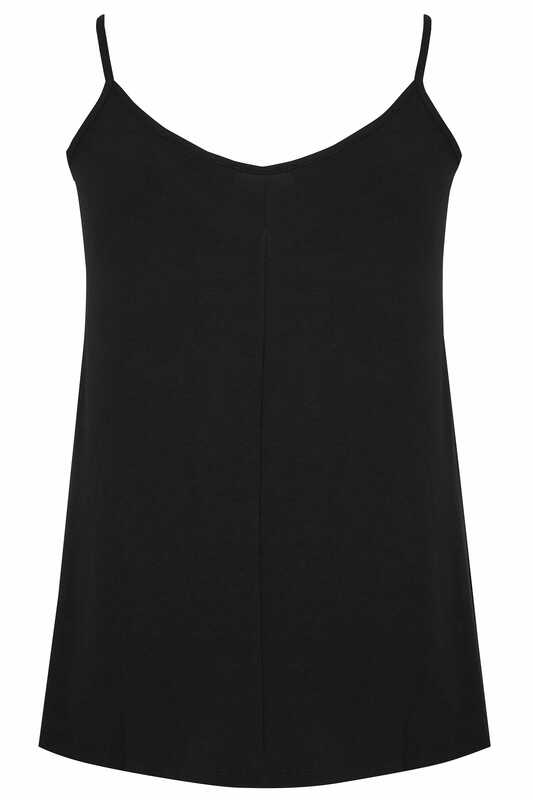 This chic cami top is a wardrobe must. Made from a super soft jersey fabric, its simple design is elevated by lace detailing at the chest with a frayed eyelash finish. Style it out with leather look trousers and a pair of high sandals for an effortless look. 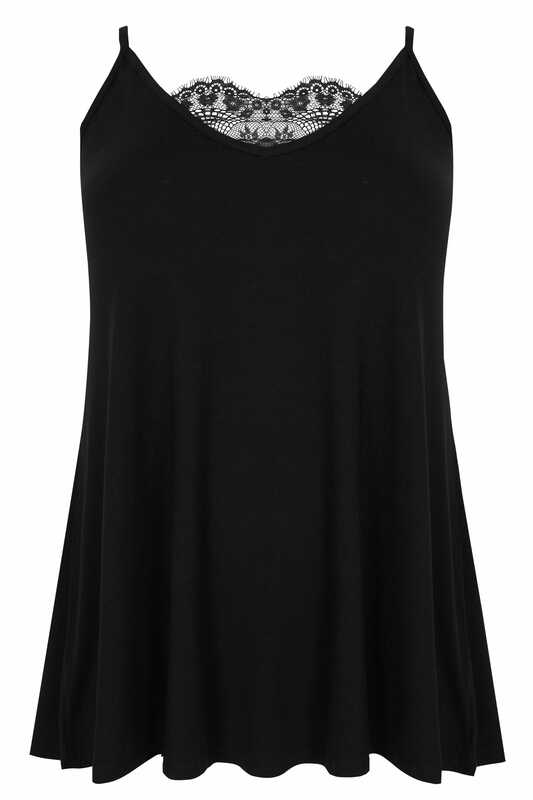 We are loving the versatile style - perfect for dressing up or down.